Any children are welcome to join the Sunday School. The children are taken out of the service during the first hymn and return during the Offertory. 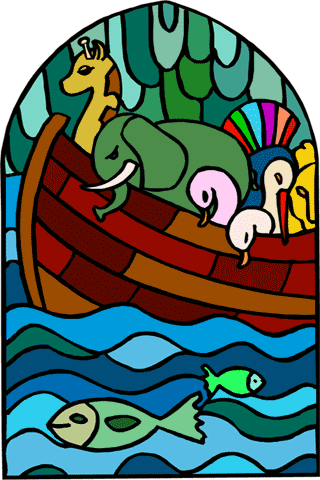 Sunday School consists of various activities such as stories, singing, colouring etc. based on the Forward Teaching resource and Sermons 4 Kids. There are also Mass books and other resources in church that any child may use. There is also a play table where under fives can play but please note that parents are responsible for their child at this table. For any enquiries about Sunday School or resources for young people please do talk to Mrs Claire Davies. Confirmation marks the point in the Christian journey at which you affirm for yourself the faith into which you have been baptized and your intention to live a life of committed discipleship. This affirmation is confirmed through prayer and the laying on of hands by the confirming bishop. The Church also asks God to give you power through the Holy Spirit to enable you to live in the way of Jesus. Confirmation is closely tied to the sacrament of Holy Baptism. In Baptism we are made children of God, and we are received into God's family in Jesus Christ. When parents bring their children to be baptized parents are asked to make promises to live with their children among God's people, to bring them to God's worship, to share the scriptures with them, and to teach them the basics of the Christian faith so that their children may come to love, trust and serve God and Christ. In Confirmation, often celebrated when children have grown into young adults, those being confirmed recognize and affirm the baptism they received as children and take personal responsibility for living out the promises their parents made at their baptism. In the rite of Confirmation, confirmands profess their faith and make promises before God very similar to those made by their parents. As an adult member of Christ's family, confirmands express their intentions to live among God's faithful people, attend to God's worship, and show the Gospel in lives of faithful service. As young teens continue to live under their parents supervision in most parts of their lives, the Church entrusts them with all the responsibilities of being an adult. Most teens want the responsibilities of being adults, but it is difficult to live up to those new responsibilities. As a result, after confirmation other adults need to continue to support, guide, encourage and include young people so that they can fulfill their promises while they grow in the life of Faith. All the children of our community (and beyond) are welcome to attend our Sunday School Please fill out the form below if you would like to register your child, or if you would like more information. Or, just bring them along on a Sunday morning! This is undoubtedly The Christmas story, explaining how it all began when Mary gave birth to Jesus in a stable. The Three Wise Men, The shepherds, and King Herod all put in appearances. When God sent a great flood to destroy almost all his own creation, he chose Noah to save the animals and preserve life on Earth beyond the great disaster. 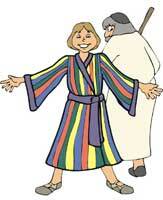 Joseph is sold into slavery by his brothers who are envious of his beautiful coat, a gift from their father. He finds himself in Egypt where his fortunes are soon on the rise. At the top of the mountain, God told Moses ten things to remember. They were the ten things that make a good or bad person. They were called The Ten Commandments.